In 2007, the Society of Bar and Gavel volunteered to take the lead in organizing Canes Carnival which was started by Dean Lennon, Bar & Gavel alumna and Advisor, in 1998 with H.O.P.E. This purpose of this event is to positively impact the lives of local elementary school students by inviting them onto the UM Law campus to have fun with Miami Law students. 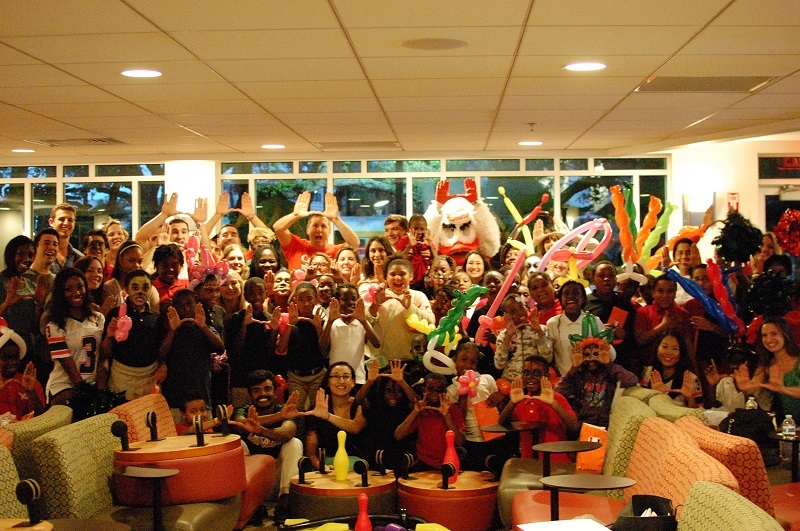 Every year, students from an elementary school in Miami-Dade comes to UM Law to enjoy an afternoon filled with games, music, food and much more! Several law student organizations volunteer their time to make a difference and participate in this annual event. Each organization sets up an interactive booth and engages the children in activities such as face-painting, musical chairs, football, and beanbag tosses. The Society of Bar and Gavel is made up of exceptional students who have shown commitment above and beyond what is required of any law student. Established in 1949, the Society of Bar and Gavel is the only honors society specifically dedicated to recognizing law students who demonstrate outstanding service and dedication to goodwill. Membership is reserved to students who have displayed and lived up to the ideals of EXEMPLARY CHARACTER, SERVICE TO OTHERS, POSITIVE ATTITUDE and LEADERSHIP.